When its so cold it feels like your toes are going to fall off, its time to remember to protect the hands during the freezing temperatures that come with winter runs. Wearing gloves or mittens is a must in the cold weather, even when we are working out outdoors. 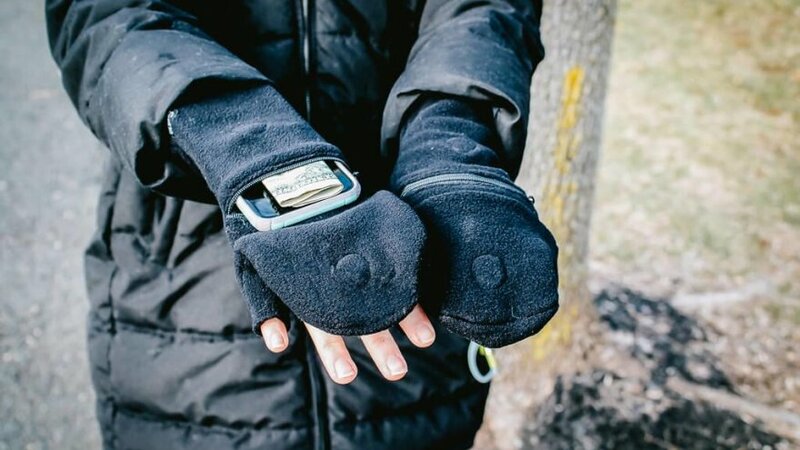 The problem is many runners still want to the best of both worlds: the warmth of this winter accessory staple so that they can still feel their fingers afterwards, and the ability to be able to use their hands to be able to do things like open a water bottle, eat a gel or change music on their phone. This problem is solved for those who pick up Sprigs Multi Mitts. 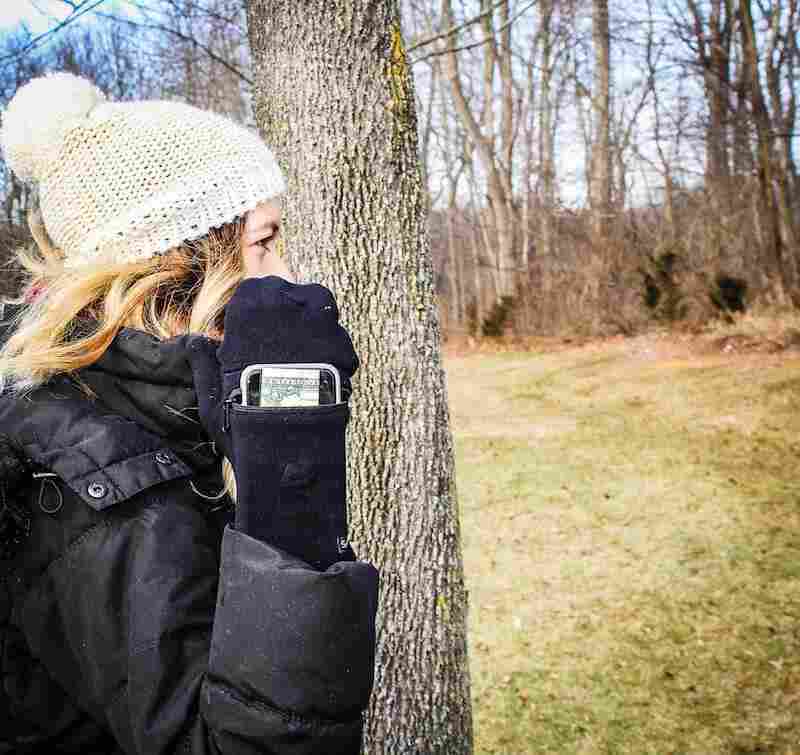 Made from fleece with a removable hood, these mittens-to-gloves product is a “glove that does it all.” More than just hand warmers that have the option to let the fingers free, the Multi Mitts are the only gloves to also include a pocket. As a fan of hooded mittens for its fun (yet functional) design, I just had to try out the Sprigs Multi Mitts to see just how ideal these would be for runners. And spoiler alert, this product gets two thumbs up. The Multi Mitt gloves are made from Sprigs custom 4-way stretch fleece. The fleece is pillow-y soft against the skin. And within seconds of wearing these gloves it’s impossible not to notice how warm the fleece is. Worn in below 20 degree weather and in the snow my hands did not feel the cold. The fleece on the inside is no doubt warm, and I was actually glad I could pick up the hood to let my fingers breathe once indoors in milder cold weather. Sprigs knocks it out of the park when it comes to the design of these gloves. The whole mitten-to-glove design has been done before. But Sprigs kicks things up notch with its other design elements. The big feature here is the large and deep pocket that located on the top of the hand under the flap. This pocket runs the length of the hand and can fit even the largest smartphones including the iPhone 6 Plus. The pocket is big enough to hold a phone in its case, with even extra room to hold money, a credit card and ID or loose keys. The zipper keeps everything secure inside without worrying anything will fall out when running, skiing or other outdoor activities. The removable fingertip hood allows for finger and thumb access for texting, and there is a pull tab for easily taking this feature off. 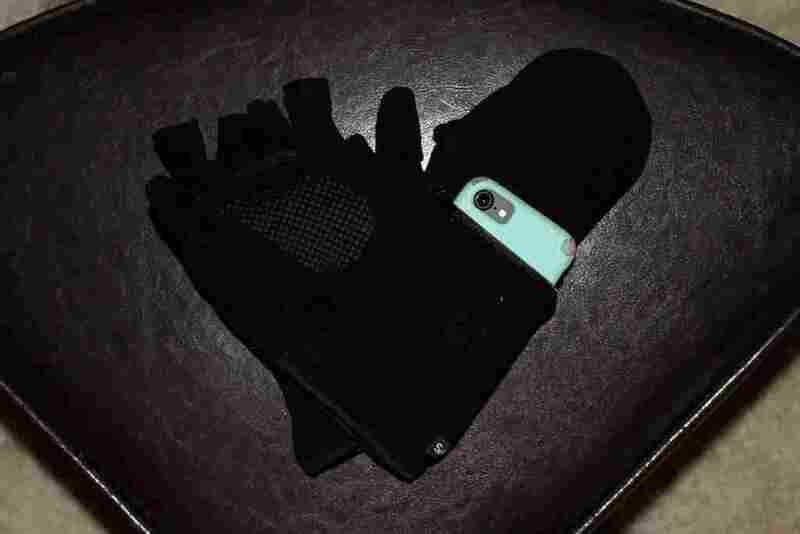 The gloves also have a magnet that holds the hood securely when down. Lastly, is the textured grip dots on the palm and thumb for traction and enhances grip. When first putting them on, you will notice how the material stretches a bit to fit nicely. The gloves are one size fits most, and have an elastic around the wrist that will make it snug. Men with larger hands may find that the Multi Mitts are a little too small for them, but the size is great for “average” sizes. One thing I can say for sure is that these are some comfortable gloves. The fleece in general is soft and comfortable, but this is especially so when it comes to the inside of the hood. 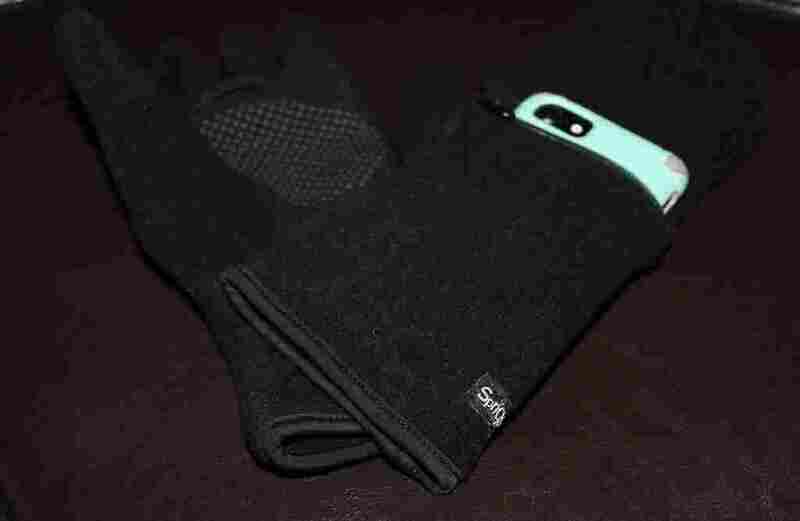 Fingers will be warm and cozy, making these great for outdoor runs as well as every day use. Sprigs Multi Mitts are stylish in their own right because of their design. But they also come in various colors including Black, Gray, Camel and Red, as well as fun prints like Mossy Oak and Leopard. The solid colors aren’t too extravagant so that they can match to winter jackets to be a wintertime go-to accessory, and the prints are fun and just begging to be showed off. Sprigs Multi Mitts have the right balance between warmth and comfort with functionality that is needed for sports gear. Not only is it stylish for every day use, but it is versatile to be used during outdoor winter workouts. Because users can hold their phone and other personal properly safely, they are really getting their moneys worth on this product. Anyone who tried to use their phone with gloves on know that the struggle is real. That’s why having access to the fingers with the lift-able hood makes these gloves great. But it’s the large pocket for storing goods and being able to take your phone with you on-the-go is hands down the best part. As much as I wouldn’t trade the smartphone pocket for the world, it’s hard to ignore the fact that an iPhone does really a bit heavy to wear on the hands this way. It is awkward when running at first, but a fair trade for the convenience factor. Sprigs Multi Mitts really have multiple uses. Keeping the hands warm, holding items and allowing for texting, these gloves put comfort and functionality in the forefront.